We recommend children have their first dental visit around age 1 or 2 to help acclimate them to visiting the dentist. We call this visit a “Happy Visit.” At this visit we will introduce them to our staff and our office. We will show them some of the special tools that we use, we may count their teeth, and then they get to pick a prize out of our treasure box. 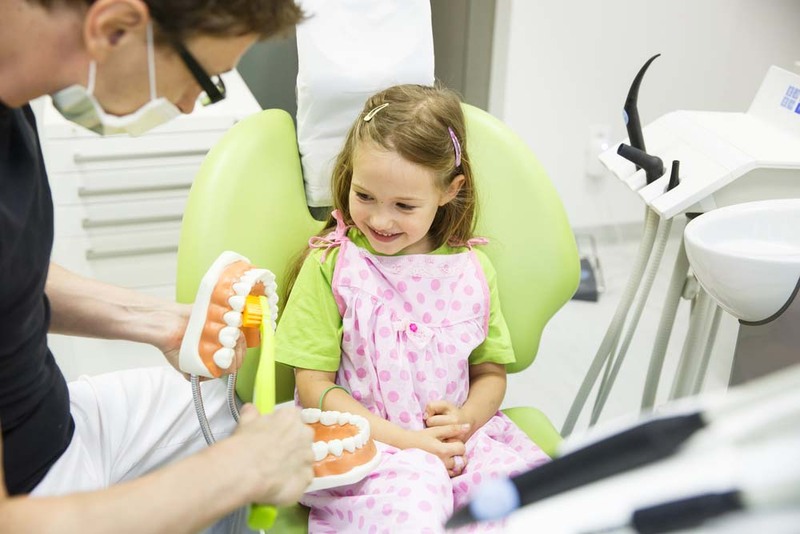 Quite often no treatment is actually completed at this visit; but this visit allows children to have a positive first dental experience and learn a few things about their teeth. We then recommend children come back every six months. With each visit we will be able to introduce basic preventative procedures. By taking things in small steps with our pediatric patients, we can create happy healthy dental patients for the future.